Whether your phone lacks a headset jack or you just prefer fewer cables, our top picks have you covered. Bluetooth earbuds are the Goldilocks of the mobile audio world: not too fussy, not too expensive—juuuust right. As Bluetooth earbuds don’t need to be plugged into a smartphone or tablet, you'll never have to worry about getting tangled up in the cord running between their earpieces while you're typing, working out at the gym, or grooving to music while making dinner. Where corded earphones can only connect to one device at a time, Bluetooth devices can seamlessly switch between one audio source or another or even listen to multiple audio sources at the same time. Additionally, as the death knell sounds for audio jacks in mobile hardware, investing in a set of Bluetooth cans ensures you’ll be living a dongle-free, future-proof life for years to come. Truly wireless earphones? We love them, but traditional Bluetooth earphones tend to be a better deal. While they’re not completely cable-free, Bluetooth earbuds typically offer better battery life and similar sound and features as truly wireless cans for a fraction of the price. To help you find the perfect set of Bluetooth earphones, we’ve spent weeks researching and testing every set you’ll find included in this review hub. Regardless of whether you plan to use them for listening to music or podcasts or making hands-free calls, we’ve got you covered. Jaybird’s X4 wireless sports earphones are reasonably priced, sound great, and boast enough features that most people will find a lot to like about them. (Read our full review here.) With their IPX7 rating, they can be submerged in a meter of water for up to 30 minutes and still come out swinging. So go ahead and get caught in the rain, cover them in mud, or sweat at the gym. Once you rinse them off, you'll be ready to use them again. The silicone ear caps and ear fins that ship with with make them crazy comfortable to wear and allow for a measure of situational awareness. Alternatively, you can use a set of included Comply foam ear tips with the X4s for some serious passive noise cancellation. The Jaybird X4s make most types of music sound great. Thanks to Jaybird’s free MySound iOS app, users can tune the sound of the earphones to suit their particular tastes. The only knock against them is that the X4s use a proprietary charging cable to connect to its waterproof pogo port—but that’s a small issue for a largely outstanding set of earphones. If you’re looking for a set of inexpensive earphones that won't leave you embarrassed or frustrated, Aukey’s EP-B40 Latitude wireless earbuds are your huckleberry. Available for under $30, these surprisingly solid earbuds boast sound quality that bests headsets three times their price. Their subtle, mature styling belies their low price and, provided your audio source supports it, they’ll let you listen to your music using Qualcomm’s aptX technology. For the price, the EP-B40s' audio performance can’t be matched. Just keep in mind that these low-cost earbuds only provide between six and seven hours of use between charges. Additionally, we experienced a few minor connectivity problems during testing. As the EP-B40s only cost $28, though, these are easy issues to forgive. Jaybird's X4 wireless sports earphones aren’t just the best Bluetooth earphones for most people—they’re also an outstanding choice for anyone in need of a pair of earbuds to work out with. As they’re waterproof, they’ll stand up to sweat, mud, and even a rinse-off in the sink after your workout. They sound great and their adjustable equalizer lets you easily crank up the bass, and they offer adequate situational awareness for roadwork or while working out in a gym. Most importantly, they have a tendency to stay in your ears while you’re working out. At $399, Shure’s SE535+BT1 buds are far more expensive than most people are willing to pay for earphones, Bluetooth or otherwise. But they sound exceptional, offering full bass, a wide soundstage, and aural separation that makes listening to complex, layered music a joy. These buds also ship with a wide variety of foam and silicone ear caps that provide a comfortable fit and a high level of passive noise cancellation. In contrast to most earphones, the earbuds can be popped off of the cables they’re attached to, making it easy to extend their life. We don’t have a lot of unkind things to say about these earphones: At moderate volumes, they’ll only provide between six to seven hours of playback. As the amount of fidelity they offer is so high, you’ll be able to hear the flaws in subpar audio of the likes you’ll find embedded in YouTube videos or while streaming from SoundCloud. Additionally, they’re a little more difficult to put on than most earphones you’ll run into. But man, do they sound great. The Bose QuietControl 30 earbuds have been around for a few years, but in the time since we first reviewed them, we haven’t found a pair of Bluetooth earphones that can match their mix of outstanding active-noise cancellation, comfort, high-quality audio, and decent battery life. These earphones boast Bose's signature neutral tuning, making them suitable for most types of music and spoken word content. There's not too much bass, nor too much treble. You get just the right amount of everything. You can also adjust the level of active noise cancelling: Using the companion app, you can turn it off completely or crank it up to 100 percent to enjoy a measure of peace and quiet. The QC30 have two potential drawbacks. Unlike Bose’s other ANC audio products, it can’t be used passively, so once its eight-hour battery life is exhausted, you'll have to charge them to keep listening. It’s also not possible to plug the QC30 into an airline’s seatback entertainment system, which could be a dealbreaker. When you invest in a new pair of Bluetooth earphones, it’s fair to assume that they should make everything sound as good as possible. We assess the sound quality of each set of Bluetooth earphones by listening to a playlist of five songs which span different genres and feature strong, layered performances that we know very, very well: "Feel Right" by Mark Ronson, featuring Mystikal; "Up & Rise" by Hazmat Modine; "Shake Your Hips" by The Legendary Shack Shakers; "Déjà Loin" by Yann Tiersen; and "I’m a Little Mixed" up by Diana Krall. We play this set of songs for an hour, paying attention to low-, mid-, and high-frequency performance, and whether they provide a broad, rich sound stage. We also listen for any signs of distortion at low or high volumes. Afterwards, we use the earbuds in our daily lives for a minimum of three hours a day over the course of a week, making sure to take in at least one TV show or movie. (This allows us to verify that the audio stays in sync with the video we’re watching.) We also pay attention to incoming and outgoing call quality, to make sure that you won’t get annoyed during a chat. We also pay attention to microphonics: a fancy name for that annoying rustling noise you hear when earphone cables brush against your head or an article of clothing. Too much of this can ruin your listening experience, especially if you use your earphones while walking or jogging. A set of earbuds or earphones may sound amazing, but you’ll never know it if they don’t fit well. Well-fitted earphones provide a good seal which, in turn, provides passive noise cancellation (or the hush that falls when you jam a pair of earphones or earplugs into your skull). If you’re in a noisy airport, tuning out your environment is a plus—but for safety reasons, it’s less than ideal if you’re out running. We take this into consideration when evaluating earbuds designed for workouts. Because no two pairs of ears are identical, we note how many different sizes of interchangeable ear cups each set of earphones comes with. If they come with a neckband, we determine whether that band is appropriate for a wide variety of body types. They might fit and sound great, but if your new Bluetooth earphones hurt your ears, you won’t wear them. We wear each pair of earbuds for at least an hour a day for a week and note if they become uncomfortable after a few hours of use. As their name suggests, Bluetooth earphones connect to their audio source using Bluetooth. That said, Bluetooth’s been around for a long time and now comes in many flavors. The type of connectivity offered by a pair of earphones can affect their battery life, range, and sound quality. 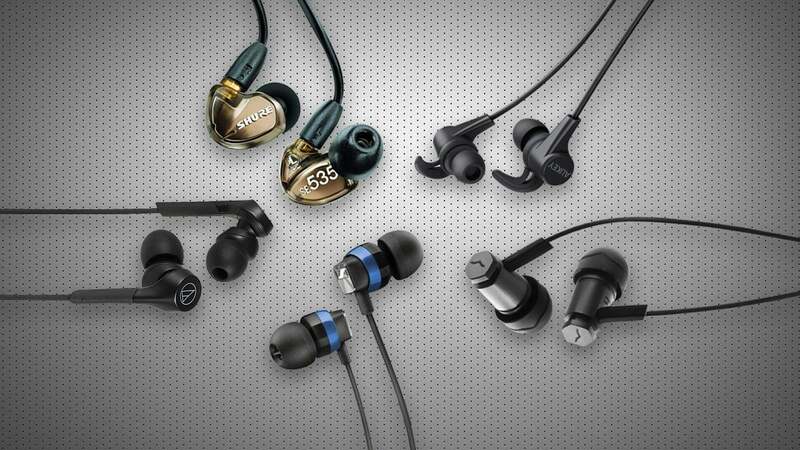 In the reviews you’ll find here, we do our best to identify the connectivity options offered by each set of earphones. 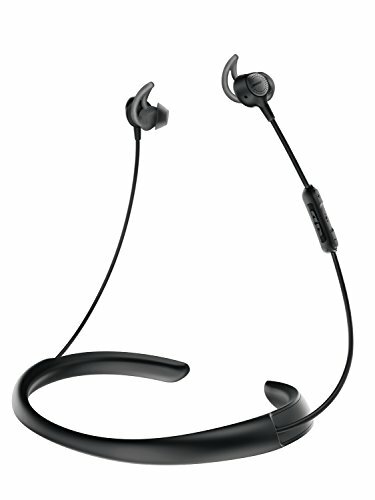 At a minimum, a good pair of Bluetooth earbuds should be able to accept calls or be used for chat with a smartphone, tablet, or computer as well as control any media you listen to. If a pair offers additional features beyond the basics, those functions should work well and be easy to use. It almost goes without saying that if you pay a premium for earbuds, they should sound spectacular. If a pair of headphones sound great and don’t cost much? Even better! 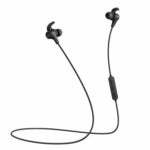 When considering each set of Bluetooth earphones that we review, we assess their cost and determine whether that price is commensurate with the user experience they provide. If you're curious to see all the wireless Bluetooth earphones we've tested, click on the links below to read the full reviews. We'll continue to update this article as we put more models through their paces, so keep checking for our latest opinions.